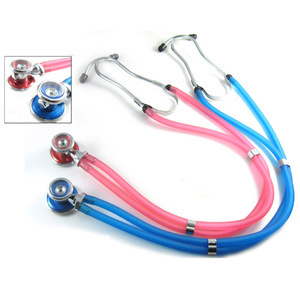 Bright Colored double barrel stethoscope feature Silver dual head chestpiece for adult, the membrane with diameter 48mm is sensitive for sound collecting. 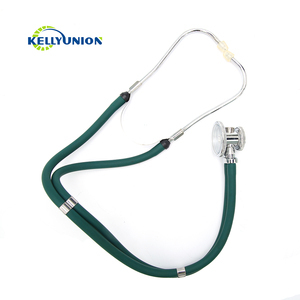 The Stethoscope is a premier diagnostic instrument with unmatched performance, durability, and aesthetics. Chestpiece: The handcrafted stainless steel dual-head chestpiece is precisely machined and hand polished for the highest performance and durability. There are professional manufacture team and sales team and after sales service department. All of our products both have ISO,CE certificate and had been exported many countries in many years ago. We will keep in touch with you after you got the goods for a better service and your any kind suggestion. 2 YRS Yancheng Kellyunion Import and Export Co., Ltd.
5 YRS Shenzhen Balinda Technology Co., Ltd.
11 YRS Wenzhou Yuetai Foreign Trade Co., Ltd.
4 YRS Pro-Med (Wuxi) Imp. & Exp. Co., Ltd.
11 YRS Anhui Medihel Co., Ltd.
4 YRS Danyang Jianling Medical Appliance Co., Ltd.
We do hope we can offer you more help in medical field and build the long term business relationship with you. Q: What's the warranty for the products9 A: The free warranty is two year from the date of exportation date. Q: How long is the validity of quotation9 A: Generally, our price is valid within one month from the date of quotation. 2 YRS Hangzhou Wehere Medical Technology Co., Ltd.
We have three plants to produce all kinds of medical products. 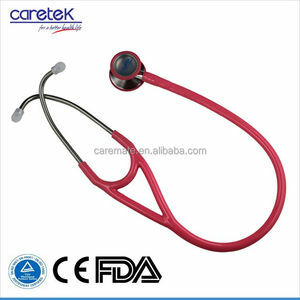 Our factories are Anji Sunlight Medical Products Co. , Ltd; Yangzhou Zhongyi Medical Products Co.
16 YRS Wenzhou Bokang Medical Technology Co., Ltd.
1 YRS Xiamen Ticare Import And Export Co., Ltd.
4 YRS Boen Healthcare Co., Ltd.
Multifunction Color Dual Head Stethoscope Material: Zinc alloy head, PVC hose,Copper ear hang Color available:red, blue, yellow, black ,green etc. , Ltd is a leading manufacturer of medical and surgical products, acupuncture products in Suzhou Industrial Park. We supply a complete supply chain management services from the design and research, raw material purchasing, production, packing, quality inspection and control to stock and whole world logistic services. 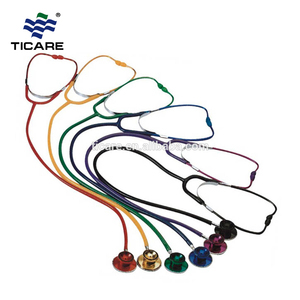 9 YRS Hefei Medicon Plastic Products Co., Ltd.
5 YRS Ningbo Joinling Import & Export Co., Ltd.
1 YRS Shenzhen Yuezhongxing Technology Co., Ltd.
9 YRS Wuxi Medcare Instrument Co., Ltd.
1 YRS Shenzhen Qianhai Medicalsender Medical Device Co., Ltd.
3.Q: What is your delivery time9 A: Generally it is 5- 10 days if the goods are in stock. Or it will be 15~35 days if the goods are not in stock according to quantity and detailed requirement. If there is a real quality problem caused by us, please send pictures or videos of the problem. 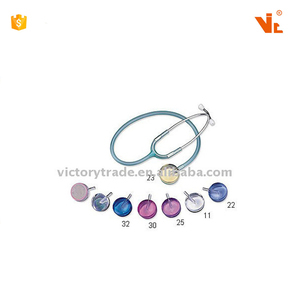 Alibaba.com offers 84 bright colored stethoscopes products. About 80% of these are stethoscope, 2% are blood pressure monitor, and 1% are visual acuity examination apparatus. 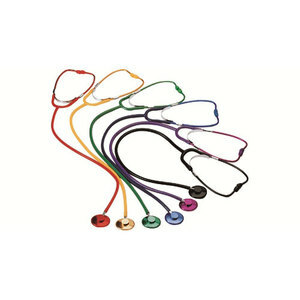 A wide variety of bright colored stethoscopes options are available to you, such as free samples, paid samples. 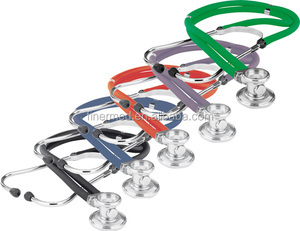 There are 84 bright colored stethoscopes suppliers, mainly located in Asia. 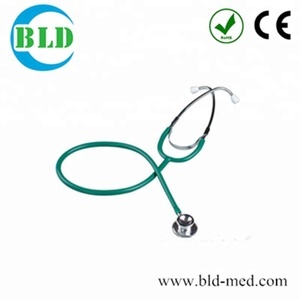 The top supplying country is China (Mainland), which supply 100% of bright colored stethoscopes respectively. 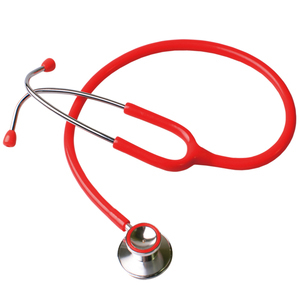 Bright colored stethoscopes products are most popular in Mid East, North America, and Eastern Europe. You can ensure product safety by selecting from certified suppliers, including 45 with ISO13485, 26 with Other, and 9 with ISO9001 certification.